Summer fun is just around the corner and it will be here before we know it. Since I live in Southern California, summer seems to start pretty early! This year I hope to really enjoy the warm weather and our pool by getting things ready early and creating a pool station. 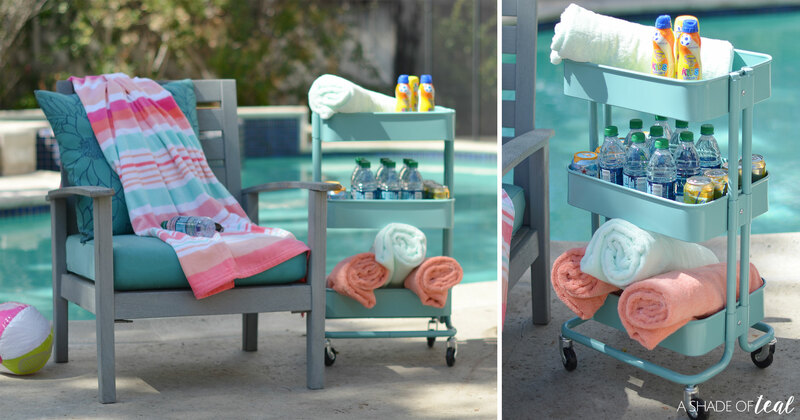 Having a pool station is great when you spend so much time outside by the pool. It’s a great place to store the items you frequently use, especially sunscreen. 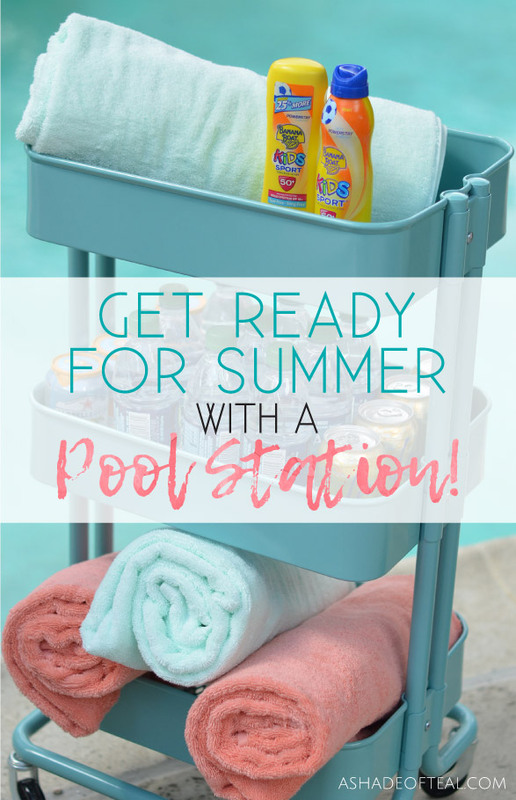 Make a Summer Time Pool Station! Towels, lots and lots of towels! It’s never fun to jump in the pool and then forget your towel inside! 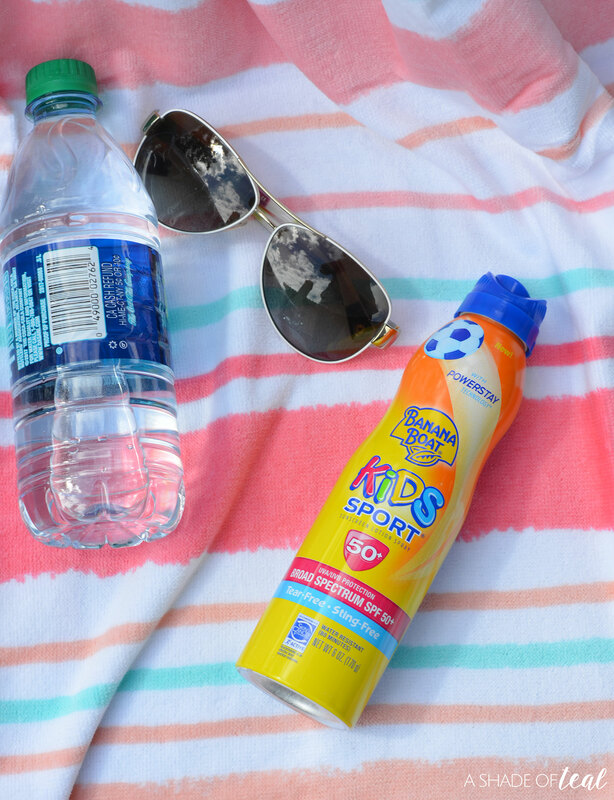 Sunscreen; when it comes to my kids, I love and use Banana Boat® Kids Sport Sunscreen Lotion Spray with PowerStay™ Technology or Banana Boat Kids Sport Sunscreen Lotion with PowerStay™ Technology. I find the spray is incredibly easy to use on the body, and the lotion is great for the face when it comes to my kids. Since we practically live outside during the summer months, we go through a lot of sunscreen. I always have a stockpile on hand since it’s a must-have for our outside summer activities. 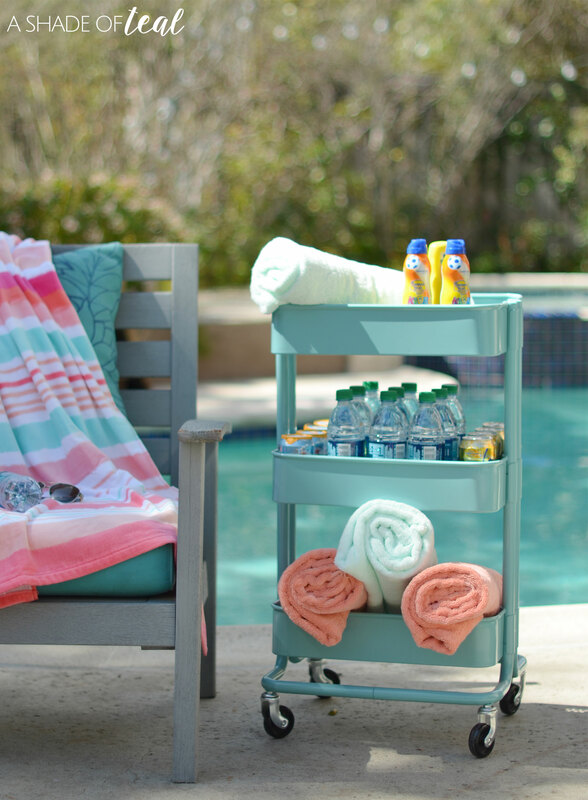 The best part of creating a pool station is having a place to store it for easy access when your kids are in a hurry to jump in the pool. It’s also great to have when you plan on having guests. 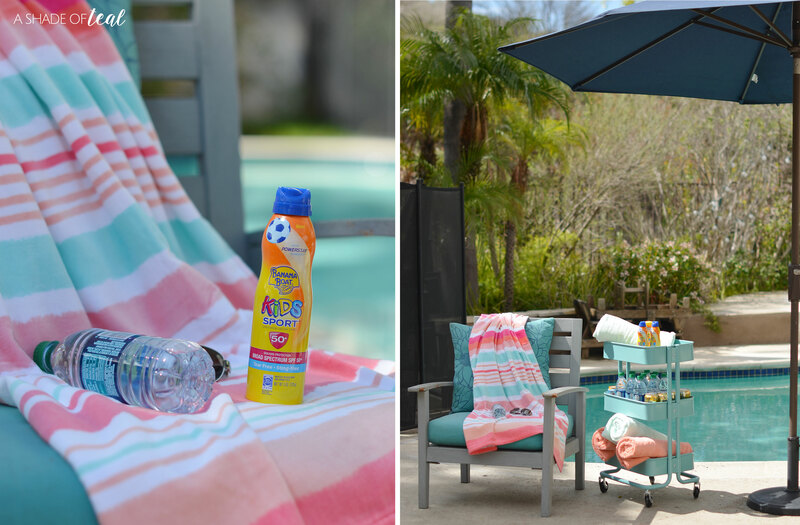 I love having a designated area for sunscreen since that always seems to be the number one request with my guests. I think their tear-free and sting-free formula is a major selling point for me, but the ease & convenience of just spraying little ones with sunscreen is a must. 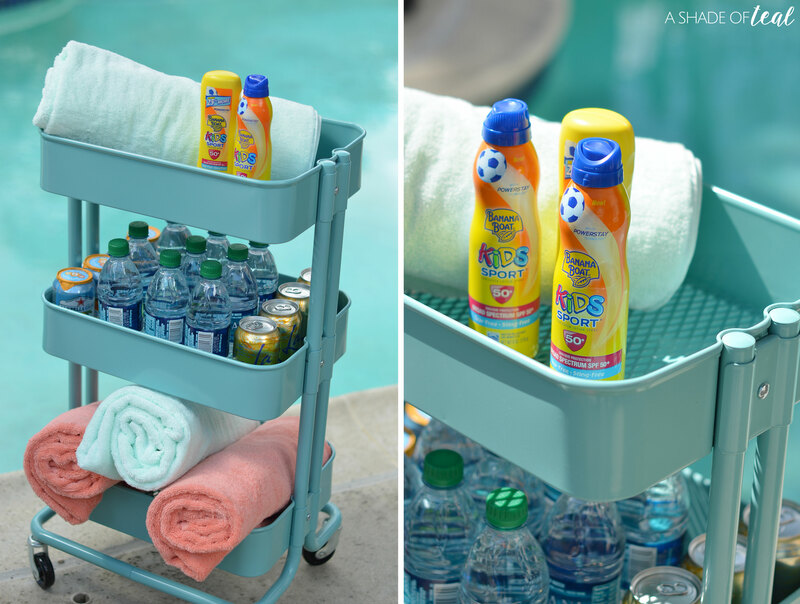 If you have little ones then you know how excited they can get to go swimming, being able to quickly spray them makes their wait time to jump in the pool that much quicker. Plus, less hassle for me to ask them to stand still! Ready to get summer started? Then start early and make your own pool station. 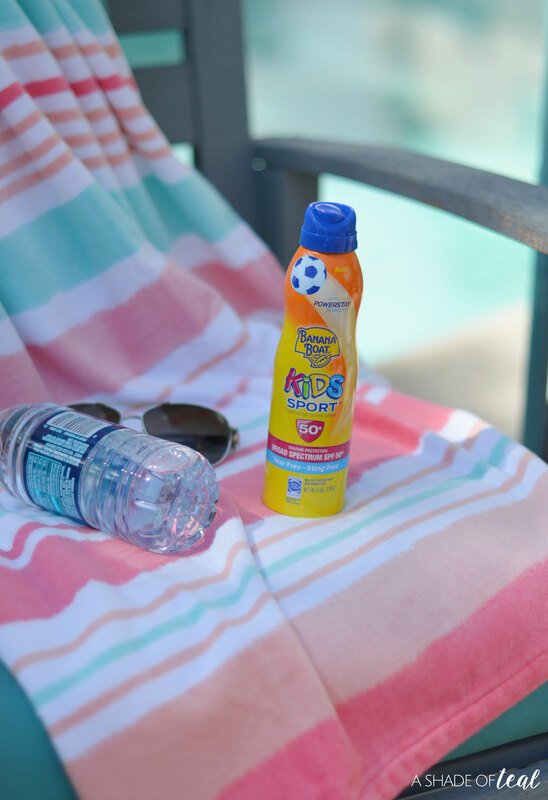 Plus, make sure you stop by Walmart and grab Banana Boat® Kids Sport Sunscreen. Click here to get a $1 off Ibotta rebate offer. It’s for $1 off any Banana Boat® product (some exclusions apply) from 4/4/18 – 5/30/18. Want more summer fun ideas? Then go check out this Banana Boat® Summer Fun Pinterest board >>> HERE.